In February, the Supreme Court stayed the rule until the U.S. District Court of Appeals for the D.C. Circuit, which sat en banc in September for oral arguments, rules in the case, West Virginia v. EPA. 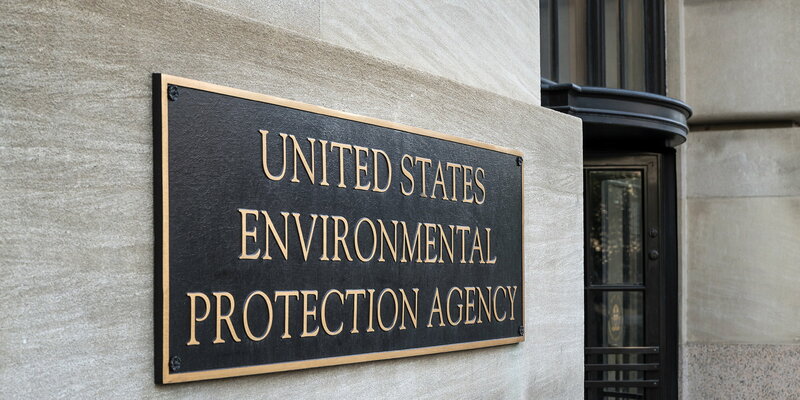 Twenty-seven states are part of the lawsuit against the EPA, which argues that CPP is unconstitutional because states are not given the opportunity not to participate in the implementation of the rule. States and supporters of the lawsuit note that CPP will have an extraordinarily negative impact on the coal industry, on which their economies rely for jobs and energy. According to an analysis by NERA Economic Consulting, the energy sector will spend between $41 billion and $73 billion annually to comply with CPP, making it the most expensive rule ever promulgated. Under the authority of the Congressional Review Act, Congress passed S.J. Res. 24, though without veto-proof majorities in the House and Senate, to reject CPP. President Obama vetoed the resolution. Pruitt's strong opposition to CPP has been frequently mentioned in coverage of his nomination to serve as head of the EPA. In July 2015, he filed his own lawsuit against the EPA over the rule, though it was later consolidated into West Virginia. "The EPA does not possess the authority under the Clean Air Act to accomplish what it proposes in the unlawful Clean Power Plan. The EPA is ignoring the authority granted by Congress to states to regulate power plant emissions at their source," Pruitt said when he filed the lawsuit. "The Clean Power Plan is an unlawful attempt to expand federal bureaucrats’ authority over states’ energy economies in order to shutter coal-fired power plants and eventually other sources of fossil-fuel generated electricity. This would substantially threaten energy affordability and reliability for consumers, industry and energy producers in Oklahoma." "Oklahomans care about issues of air quality and our state policy makers are best-suited and specifically granted the authority by federal law to regulate these issues. We are filing this lawsuit in order to ensure decisions on power generation and how to achieve emissions reductions are made at the local level rather than at the federal level," he added. Pruitt believes that the EPA has claimed too much authority from Congress, running roughshod over the constitutional separation of powers and the states' ability to decide what is best for their citizens and economies. What is good for New York, for example, may not be good for Oklahoma. Indeed, Oklahoma would not be the only state negative impacted by CPP. A November 2015 analysis from NERA Economic Consulting warns that consumers and businesses in the lower 48 states will see energy price increases, potentially as large as $39 billion annually. A Democratic senator in a state expected to see a double-digit energy price increase may have a tough time explaining to voters why he either voted against the resolution of disapproval that would have put a stake in the heart of CPP or why he did not vote support Pruitt, who will seek to roll back the rule, in a confirmation vote. Take Sen. Sherrod Brown (D-Ohio). His state is expected to see an average energy price increase of 15 percent because of CPP. Yet, he voted to keep the regulations in place in November 2015 when S.J. Res. 24 came to the floor. As did Sens. Jon Tester (D-Mont.) and Claire McCaskill (D-Mo. ), whose constituents will see a 24 percent increase in energy prices. Sen. Bob Casey (D-Pa.) also voted to keep CPP in place, and his constituents will see a 17 percent average increase. While Sens. Joe Manchin (D-W.V.) and Heidi Heitkamp (D-N.D.) voted to disapprove of the regulations, which will cause their states to see price increases of 33 percent and 43 percent, are sitting on the fence, at least thus far, on whether they will vote to confirm Pruitt. Manchin recently stopped short of saying he would vote to confirm the Oklahoma attorney general. Heitkamp expressed "serious concerns" about Pruitt's opposition to ethanol. Tester, who voted to keep CPP in place, was hyperbolic in his reaction to Pruitt's nomination, saying that he "is very concerned about Mr. Pruitt’s history of not protecting clean air and clean water." McCaskill, another CPP supporter, said she was "reserving judgment" on Pruitt. Trump won Montana and Missouri by 20 points and 9 points. Sen. Joe Donnelly (D-Ind. ), whose state Trump won by 20 points, has been quiet about Pruitt. Democrats from states Trump won and who support CPP, and either voted to uphold the rule in November 2015 or oppose Pruitt's confirmation, face another awkward reality because their position puts them at odds with some influential labor unions. International Brotherhood of Electrical Workers (IBEW), which represents 750,000 members, joined the lawsuit against the EPA over CPP. "The EPA is creating energy policy and they have neither the expertise nor the legal authority to do it. We worked with the EPA for years to address greenhouse gas emissions with a plan that is both effective and legal," IBEW President Lonnie Stephenson said when the union joined the lawsuit. "Unfortunately, we don’t believe this regulation is either." The United Mine Workers of America, which represents 80,000 members, also joined the lawsuit against CPP. "Our initial analysis indicates there will be a loss of 75,000 direct coal generation jobs in the United States by 2020. Those are jobs primarily in coal mines, power plants and railroads. By 2035, those job losses will more than ­double to 152,000," UMWA President Cecil Roberts said about the damage the rule will do to the economy. "When a U.S. government economic multiplier used to calculate the impact of job losses is applied to the entire economy, we estimate the total impact will be about 485,000 permanent jobs lost." Raymond Ventrone -- who represents more than 2,000 members of International Brotherhood of Boilermakers in Ohio, West Virginia, and Western Pennsylvania -- has blast the Obama administration's anti-coal agenda, writing in the Pittsburgh Post-Gazette, "My members learned the hard way that the EPA's goal isn't clean air; it's eliminating coal and our way of life." "We can have clean air and keep coal as a vital part of our economy, but we can't do it if the EPA and its allies are allowed to continue waging a devastating war against our jobs," he added. While these labor unions may not have taken a position on Pruitt's nomination, they know that the EPA's Clean Power Plan will hurt their members. Democratic senators who are considering voting against or are on the fence about Pruitt's nomination are sending the wrong message to their constituents at home. This rule will lead to higher compliance costs, energy price increases, and lost jobs. There is not a need for a debate over this. The Senate should confirm Pruitt when he comes to the floor for a vote.